LED Light Treatment: What Is It? Recently you may have seen an increase in celebrities wearing white masks that look straight out of a horror film! These are actually LED light masks which work as a skin treatment – but are LED lights good for your skin? Like most good things the anti ageing effect of LED’s was discovered as a happy accident! LEDs (Light Emitting Diodes) – are actual a computer chip encased in glass -not lasers – these lights emit wavelengths of colour light energy. Originally they were developed to help with the healing of wounds and surgery scars. The healthy skin benefit was just a coincidence. What Do LED Lights Do For The Skin? If used with Hydradermabrasion or other facial treatments the red light helps any antioxidants be absorbed better by the skin. Blue LED lights is particularly excellent for fighting skin inflammations such as Acne. Causes oil glands to shrink – causing less spot causing oil. Blue Light is an excellent help to those who suffer from Acne who and may be afraid harsher treatments and medications. 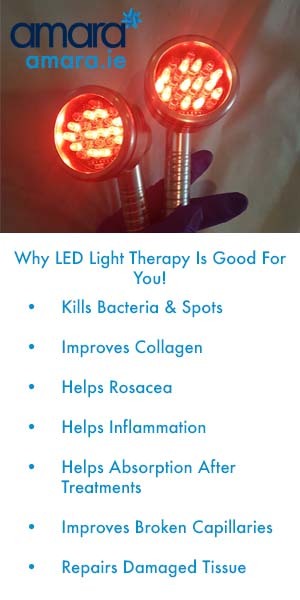 Used in conjunction with targeted acne products and treatments Blue light therapy is an effective treatment of acne. 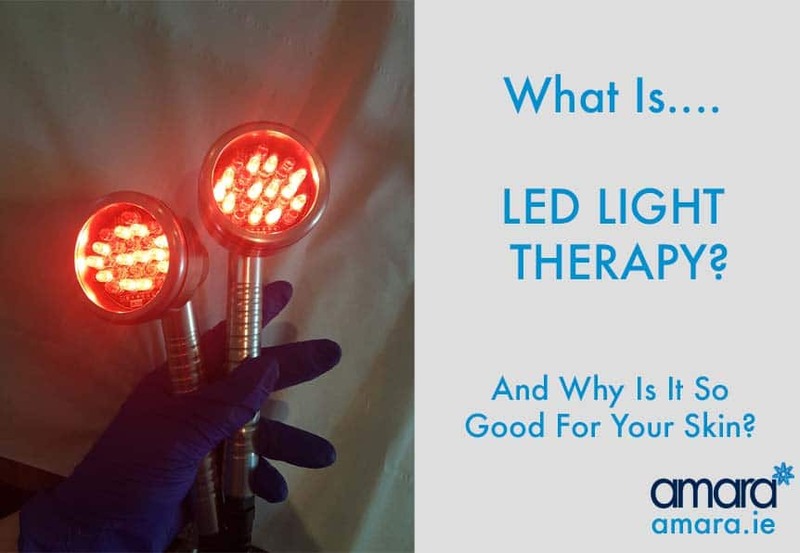 Though Red and Blue Light therapy is the most popular and proven other colours are beginning to be used such as Green or pink. How Can You get LED Light Treatment? At Amara we offer LED light treatment included as the final step with our HydraFacialMD treatment. As the LED lights are a treatment in themselves this extra step ups the game of the HydraFacial by helping the skin absorb all of the antioxidants and serums that we put in. While of course killing bacteria and firming collagen. Are you interested in seeing what LED Light Treatment can do for your skin? Book in for a full skin analysis and HydraFacialMD now! Will this breakdown dermal filller? There is no evidence that LED light would breakdown dermal filler. Red LED light actually helps to rebuild our own collagen.